Hyderabad, Jan 8, 2018: Hyderabad Football League, which is the biggest mini-football league in the city, concluded a Mini HFL at Iron Threads Arena, Yousufguda, on January 5th. Mini HFL is a tournament which is primarily aimed to scout new talent as well as give a chance to the budding players to play alongside professional players in the main season. 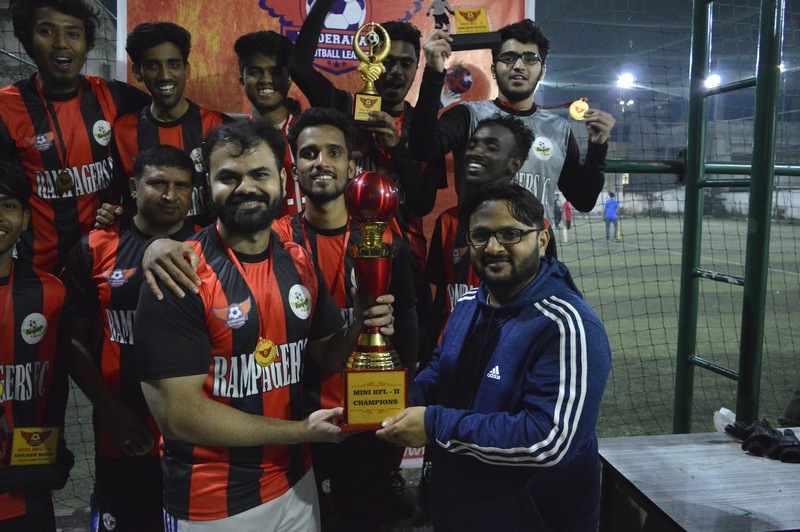 This three-week long tournament witnessed 10 teams participating, with Rampagers Football Club emerging as winners. The winning team was awarded a trophy and Rs 35,000 while the runners-up team won Rs 15,000. 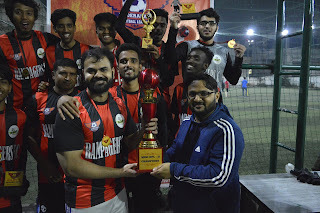 Responsible for reviving the footballing culture in Hyderabad, HFL that was started in 2016 has hosted 3 successful seasons so far with cash rewards for the winning teams amounting upto 9 lakh. The last season saw Telugu movie star and avid sports buff Akhil Akkineni as the brand ambassador for HFL. To top it all, HFL had ace Indian footballer Bhaichung Bhutia as its league mentor. HFL has an organised structure including a 3- month long duration of the league, Matches on home and away basis, Professional AIFF certified referees transfer window, and live coverage of all the matches. Hyderabad Football League is the only pro-am (professional-amateur) league in Hyderabad. It is set to launch its fourth season from March 29th. This year the league will have a player auction where all the players will receive contracts from the franchises. Season 4 of HFL will be the first season where players will be picked through an auction. This is to ensure that all players get paid to play so that it encourages more people to take up football. The fourth season will have 12 franchises and the 10-week long event will see 144 players participating in the league. The HFL will give out 8 lakh as the cash prize to the winners and 4 lakh to the runners-up.